Ariane Controls announced that it has signed a non-exclusive distribution agreement with Jepico Corporation, a Japanese electronics manufacturer and distributor based in Tokyo. Five addenda to ASHRAE’s BACnet standard were recommended for public review at the Society’s 2006 Winter Meeting held Jan. 21-25, Chicago. ANSI/ASHRAE Standard 135-2004, BACnet® -- A Data Communication Protocol for Building Automation and Control Networks, allows building equipment and systems manufactured by different companies to work together. The proposed addenda, c, d, e, f and g, are expected to be released for public comment in March. Next Generation DDC Open Systems Presented in 4 two-hour live online essions New Program Starts February 27 "DG for Free" Analyzing Onsite Distributed Generation Contracts & Proposals Presented in 2 two-hour live online sessions New Program Starts February 27 Visit www.aeecenter.org for more info. Lantronix announced an update to its popular networking tutorials. As an important information asset for IT managers and engineers, the tutorials provide a solid foundation and understanding of basic networking protocols and techniques. June 5-7, 2006 Donald E. Stephens Convention Center Rosemont, Illinois. Our in-depth conference program features the world's leading authorities, who will examine the most up-to-date innovations. CABA and CMHC are interested in promoting your success stories. In order to qualify for this series, your case study needs to focus on building automation, fire safety, communications, remote sensoring and/or control in Canadian MDUs (multi-dwelling units), assisted living and townhome developments. Please contact David Dern [dern@caba.org] to ensure that you are included in this exciting promotional opportunity. I have just returned from the largest ever AHR Expo which was a kaleidoscope of change. The energy and feeling of the transition into a new era was everywhere. Industry synergy abounded and the feeling of all the pieces fitting together was never greater. I wish to share with you 10 observations that I formulated while at this event. The exposition is a true melding pot for our industry which is converging in several different ways and several different directions simultaneously. Metcalfe: Ember and STMicroelectronics announced what may be the first reciprocal second source and co-development partnership for ZigBee/802.15.4, the embedded micro-controller networking standard. STMicro, one of the world’s largest semiconductor companies, will work with Ember to jointly develop complete semiconductor solutions for the fast-growing ZigBee wireless networking market. BOSTON – U.K.-based Telegesis has developed a family of easy-to-install ZigBee wireless networking modules based on Ember’s technology, including a ZigBee CF card for communications. Telegesis’ family of Ember-enabled modules is designed to help product designers easily integrate mesh networking capabilities without complex programming or RF design experience. Building-IT convergence is set to take a major leap forward in 2006 as Cisco announces its Platinum sponsorship of BuilConn Americas in Palm Springs, CA, May 16-18. Cisco’s participation includes sponsorship of a combined BuilConn and M2M General Session, with a yet to be named Cisco executive presenting a Keynote of Cisco’s vision of IP connected buildings. Additionally Cisco is sponsoring a by-invitation-only roundtable on the pre-conference day to discuss the current state and future of building-IT convergence. The IPTV World Forum 2006 – www.iptv-forum.com - will provide the perfect and timely opportunity to meet and network with the key players across the industry. The IPTV World Forum will be the key UK event for the industries leading telcos, content and technology players to get together and discuss service delivery, marketing, and content over IPTV technologies and devices. This event is aimed directly at the industries supporting the markets growth; telcos, broadcasters, content providers, device manufacturers, technology providers, software providers, system integrators and broadband providers. Echelon and Kolon Data Communication Collaborate to Expand the Market for Control Systems, Energy Management and Conservation - Echelon Corporation (NASDAQ: ELON), a global networking company providing technology and solutions for controls, energy and environment management, and smart metering, and Kolon Data Communication Co., Ltd. (KDC), a market leader in information technology (IT), announced plans to collaborate to expand the market in Korea and other countries for LonWorks® control networks and energy management through integration services, training programs, marketing, product development and smart metering. Among the planned marketing efforts in the collaboration is the establishment by KDC of a "LonWorks Business Center" to promote energy and automation solutions that integrate both IT and control networks as well as to develop the Korean market for smart metering. Additionally, KDC plans to take a leadership role in establishing the LonWorks platform as a Korean national standard for control networking. Echelon Wins Advanced Meter Infrastructure Project with Dutch Utility - Echelon Corporation (NASDAQ: ELON), a global networking company providing technology and solutions for controls, smart metering, and energy and environment management, announced that Echelon's NES System has been selected under the European Union public tender 65798 – "eTender Automatic Meter Reading" issued by the Dutch utility Nuon. The companies have entered into a letter of intent, with final agreements expected later in February. Echelon will act as a lead supplier for the project, providing approximately 25,000 intelligent, communicating electricity meters and associated data concentrator and NES system software infrastructure. Initial installations are planned to begin in the second quarter of 2006 with final acceptance of the system targeted for late Q4 2006 or Q1 2007. Wanted: Success Stories CABA and CMHC are interested in promoting your success stories. In order to qualify for this series, your case study needs to focus on building automation, fire safety, communications, remote sensoring and/or control in Canadian MDUs (multi-dwelling units), assisted living and townhome developments. Please contact David Dern [dern@caba.org] to ensure that you are included in this exciting promotional opportunity. Realcomm Seminars Realcomm Seminars provide quality education and instruction on the latest technology and telecommunications solutions for real estate. These courses are 3-4 hour seminars taught by nationally renowned instructors and industry experts. Visit www.realcomm.com for more information. Contemporary Controls - Over 130 Industrial Ethernet University (IEU) Graduates and Counting - Contemporary Controls has made this subject much easier to comprehend. And more than 130 graduates of the company's virtual Industrial Ethernet University (IEU) can prove it. The ABCs of Power Over Ethernet (PoE) Learn how PoE involves more issues than simply defining the cable connections and why this standard makes a giant step towards Ethernet as a fieldbus replacment. Visit www.ccontrols.com for more information. Echelon Announces World's Most Advanced Residential Utility Meters - Echelon Corporation (NASDAQ: ELON), a global networking company providing technology and solutions for controls, smart metering, and energy and environment management, today announced two new additions to its popular family of second-generation intelligent, communicating electricity meters for use with Echelon's Networked Energy Services (NES) advanced metering system. The new meters expand the reach of the NES system to include the ability to communicate with heat, water, and gas meters over the NES communications infrastructure as well as the ability to offer sophisticated prepaid service plans to customers. TAC Previewed Andover Continuum Wireless BACnet Field Bus at AHR Expo 2006 - TAC previewed the first BACnet system to offer a Wireless BACnet Field Bus solution. TAC will release the Andover Continuum Wireless BACnet Field Bus later in 2006. Wireless solutions are among the next generation of requirements for building owners and facility managers. Compatible with all Andover Continuum BACnet Field Controllers, benefits include: Lower installation costs, Reduced labor required for support and service, Ability to add controls to difficult to wire locations. Thermostat Recycling Corporation Collections Continued to Grow in 2005 - The Thermostat Recycling Corporation (TRC) today announced that it recovered close to 88,000 thermostats containing more than 819 pounds of mercury in 2005. These are increases of 10 percent and 12 percent, respectively, of the quantity of thermostats and amount of mercury recovered in 2004. Since its inception in January 1998, the TRC has now recycled nearly 420,000 mercury switch thermostats and removed more than 3,800 pounds of mercury from the nation's waste stream. Collections were highest in Florida, Minnesota, Wisconsin, Indiana, and Ohio. eLutions, Inc. to Acquire Assets of Wizcon Systems – ITA Holdings, Inc., formerly Axeda Systems Inc., today announced that it has entered into a letter of intent to sell the assets of Wizcon Systems and certain other assets of the Wizcon Systems business unit to eLutions, Inc, a Tampa based premier provider of wireless enterprise automation solutions which help companies dramatically improve their asset performance, energy usage, and workforce productivity. Wizcon Systems markets the Wizcon Supervisor (formerly Axeda Supervisor) line of products into the Utilities, Building Automation, Transportation & Infrastructure, Power & Energy and Industrial Automation markets. Yamatake Announces savic-netFX for the Broader Asian BA Market - Yamatake has announced the commercial availability of its savic- netFX, International Version, for the broader Asian Building Automation (BA) market. Being the next generation BA systems from Yamatake, savic-netFX has mainly served the mid-to-large building market in Japan, with moderate sales in China and East-South Asia. Now, it has been enhanced as global BA solution, supporting open communication protocols, such as BACnet and LON standards, incorporating energy saving programming languages as standard features, and enabling multi-linguistic capabilities. Yamatake intends to market savic-netFX across all Asian regions, including India and the Mid-East and Near-East. Lighting Control & Design - Digital Control for Theatrical Work Lights Use the GR 2400 to control stage work-lights, the ideal companion for any theatrical dimming system. The digital GR 2400 network offers its own suite of advanced lighting control features, but a single-point gateway to DMX 512 or 512a allows any companion theatrical dimming system to take over control of work lights, and even to disable work light control stations. Each digital station is linked to other digital devices (relay panels, control stations, etc) with Cat. 5 cable, whether it has one button or one hundred. If you need to expand a station or re-program its function -- no problem and no new cabling! CoroWare to Merge with Innova Holdings – CoroWare Inc., an innovative systems integration firm and mobile service robotics specialist, today announced it has signed a letter of intent to merge with Innova Holdings Inc. of Fort Myers, Florida. The transaction is expected to be completed in the first quarter of 2006, subject to the negotiation and execution of a definitive agreement, approval by Innova Holdings’ Board of Directors, and customary regulatory approvals. Under terms of the agreement, CoroWare and its CoroWare Test Labs subsidiary will operate as wholly owned subsidiaries of Innova Holdings. Announcing Mercury Thermostat Recycling Incentive Program – The Product Stewardship Institute (PSI) and the Thermostat Recycling Corporation (TRC) have partnered with the states of Indiana and Oregon, along with Portland General Electric, to offer contractors a financial incentive for recycling thermostats that contain mercury. PSI obtained a $50,000 U.S. Environmental Protection Agency (EPA) grant to determine if offering a financial incentive to heating, ventilation, and air conditioning (HVAC) contractors results in increased recycling of these devices. Environmental officials say that improper disposal of mercury thermostats is one of the largest sources of environmental mercury contamination from consumer products. ICS releases Concerto Suite Estimating 4.0.17 and COSMOS – Design and Submittal Tool – The new Concerto version 4.0.17 offers existing users enhanced features such as automatic file backups to destination folders, greater database flexibility, enhanced tools for creating and assigning new items, auto-access to data sheets from the web and simplified controls for presentation modules. The new Visio-based COSMOS Design / Submittal module seamlessly integrates estimating, design and submittal phases of projects. Features include a single standards library and product database for both Sales (Concerto) and Operations (Cosmos), automated valve, point and damper schedule creation and a vendor-independent architecture to support your company’s established standards and shapes. Visit www.ics-controls.com for more information. ISA EXPO Returns to Houston, TX on 17-19 October ISA EXPO, North America's #1 event for automation and control professionals, is a catalyst for the exchange of information and ideas. You can find it all under one roof at ISA EXPO - thought provoking ideas, state-of-the-art technology and solutions, as well as innovative real world expertise. Through a dynamic and timely technical conference, an unparalleled education and training program, and advanced technologies, ISA EXPO provides the tools you need to get ahead and stay ahead in today's marketplace. For information on all of AEE's realtime distance learning seminars, visit www.aeecenter.org/realtime. CLIMA 2007 to be held in Helsinki, Finland – Creating wellbeing in indoor environments in an environmentally sustainable manner is the theme of CLIMA 2007. The conference, organized by the Federation of European Heating and Air-Conditioning Associations (REHVA) and endorsed by the American Society of Heating, Refrigerating and Air-Conditioning Engineers (ASHRAE), will be held June 10-14, 2007, in Helsinki, Finland. A call for papers will be announced in February with abstracts due in October. Basics of Energy Management Online Course AEE now offers the Basics of Energy Management online seminar series as part of the 24/7 Online Seminar Program. This valuable new seminar series offers: 1) instruction in the problem-solving skills needed for solving energy management problems by -covering the use of a calculator in problem solving -reviewing algebra skills -explaining problem-solving methods, and -providing a large number of example problems to practice on, and 2) background information on energy topics covered in AEE's energy management seminars. Honeywell to help Luke Air Force Base Save $21.8 Million in Energy and Operating Costs Honeywell (NYSE:HON) announced a $9.6 million energy savings performance contract (ESPC) with Luke Air Force Base in Glendale, Ariz., which will include infrastructure improvements, renewable energy saving measures and long-term preventive maintenance services -- all funded with guaranteed savings. The base is expected to save $21.8 million in energy and operational costs over the next 20+ years thanks to the aggressive energy-retrofit program. Technology Tips from the California Energy Commission Daylighting systems often fail to live up to their potential because they are sensitive to photosensor placement. Find out how a free software package helps designers establish correct photosensor placement for a proposed daylighting/electric lighting design by reading “Sweet SPOT™ for Daylighting,” the latest in our ongoing series of Technical Briefs. You can access this and other briefs from Click here to download brief(s). Integrated Systems Europe (ISE) Europe’s largest trade show for AV systems integrators will start off in spectacular style with a powerful demonstration of massive LED Video Screens, which will literally take over the impressive frontage of the huge Brussels Expo Centre. ISE 2006 is shaping up to become one of the biggest trade shows in Europe. ISE will be held at the Brussels Expo in Belgium, February 1-3, 2006. This is also an opportunity to take the three-day InfoComm Certification Prep course and exam! Find out more at www.is-europe.org. Reliable Controls 2005 was another solid year of growth for Reliable Controls®. Overall revenues were approximately 19% ahead of 2004 while unit sales of microprocessor-based product, over 18,000 pieces, closed 30% ahead of 2004. The cumulative installed capacity of all Reliable Controls® products purchased since 1986 now stands at over 1 million hard points of measurement and control. With a full time staff of 50, Reliable Controls® supplied approximately 2% of the North American demand for building control systems in 2005. Of course the company’s growth would not be possible without your patronage and the support of the Reliable Controls® Authorized Dealer network. Thank you very much for your continued support and valuable input into our design and development processes. Visit www.reliablecontrols.com for more information. Genzyme Center Relies on $2.3 Million TAC Solution to Stay Green Genzyme Center, in Boston, relies on a $2.3 million TAC building automation system solution to stay "green." The new headquarters building of Genzyme Corporation, a world leader in biotechnology, is a sustainable facility powered by renewable energy sources and controlled by an integrated BAS from TAC. Genzyme Center has combined sophisticated technology and innovative design to become one of the most environmentally responsible office buildings in the country. This has earned the building Platinum certification, the highest LEED rating offered by the U.S. Green Building Council. Visit www.tac.com for more information. IBM to Speed Adoption of New Smart Power Grid IBM announced the company is working with Pacific Northwest National Labs, the U.S. Department of Energy, and Sears/Whirlpool on two research studies designed to fortify the National Grid. The studies are part of a northwest regional initiative to test and speed adoption of new smart grid technologies that can make the power grid more resilient and efficient. NEW! Realcomm Seminars Realcomm Seminars provide quality education and instruction on the latest technology and telecommunications solutions for real estate. These courses are 3-4 hour seminars taught by nationally renowned instructors and industry experts. Visit http://www.realcomm.com/RC06-Seminars/SeminarsContent.asp?p=register for more information. ZigBee Finds a Home It has been several months since the ZigBee standard was ratified, and the floodgates have opened for developers with innovative solutions. The technology is turning up in a number of industry verticals, and the one with perhaps the greatest momentum is building automation. One of the announcements that slipped under the radar late last year was an intriguing new partnership between Siemens Building Technologies Inc., www.sbt.siemens.com, Buffalo Grove, Ill., and Ember Corp., www.ember.com, Boston, Mass., that led to a new wireless commercial building automation application. The new system is named the Apogee Wireless Field Level Network solution, and it’s designed to provide facility builders, owners, and managers to have increased environmental control and more flexibility over building-control systems. Lyle Bunn of BTV+ named No. 4 in 2005 Digital Signage Top Ten List The Digital Signage Forum has named Lyle Bunn, BTV+ Director, Digital Display & Rich Media to its 2005 Digital Signage Top 10 List in recognition of his industry development contributions. Bunn was the only individual to be named on the list and followed corporations such as Thompson, 3M and Focus Media. Clear Channel, AGN Professional and others were also included on the list. Strategy Institute Strategy Institute - First Annual Canadian Digital Home Summit taking place Tuesday, February 21st and Wednesday, February 22nd, 2006 at The Metropolitan Hotel in Toronto, ON. The 5th Annual Canadian IT Security Conference taking place Tuesday, April 11th and Wednesday, April 12th, 2006 at The Old Mill in Toronto, ON. Control-See introduces U.C.ME-OPC version 5.5 Control-See Software Solutions Ltd, a leading provider of Alarm Notification & Analysis software tools, announces the immediate availability of U.C.ME-OPC™ version 5.5. The main new features of version 5.5 are: Eliminating Nuisance Alarms at their source and Text messaging (SMS) using standard analog modems and TAP protocol. Greystone 2006 Catalogue Greystone is please to announce that the NEW 2006 Catalogue is now available to download in PDF format on our website. Both the North American version and the European version are available to download for the convenience of all our customers. Don't forget to stop by the Greystone Booth #3959 at the 2006 AHR Expo. 2006 AHR Expo Chicago Sets New Record As Biggest Event In 76-Year History Westport, Connecticut - With less than a month to go, AHR ExpoÆ 2006 in Chicago, January 23-25th, is already breaking records as the largest event in the Show's illustrious 76-year history. According to show management, more than 1,900 companies have already reserved 409,555 net square feet of exhibit space. These numbers would make AHR Chicago 2006 the biggest show on record, surpassing 400,416 net square feet of space at AHR Expo 2003 in Chicago and 1,871 exhibiting companies at AHR Expo 2005 in Orlando. EBTRON Technology Expands to include Variable Air Volume Terminal Controllers New model SCN202-T BACnet® VAV Terminal Controller Uses integrated high accuracy EBTRON Measurement Technology! Requires no additional software for set up or operation! Myrtle Beach, SC: The EBTRON model SCN202-T was specifically designed to integrate the superior performance of EBTRON airflow sensors and EBTRON’s new zone occupancy meter – CENSus. It includes almost every feature that competing single-duct VAV controllers possess. Combining the processing power of both measurement and control functions makes the use of EBTRON Thermal Dispersion sensors at the terminal unit much extremely cost effective. information through infra-red link, rather than manually programming units individually through the built-in keypad and diagnostic menu options. This field configuration utility is useful for any mandatory network set up requirements. Moxa VPort 3310 Video Server is the Newest Choice for Industrial Business Applications Taipei, Taiwan—Moxa Networking, one of the worlds leading manufacturers of industrial Ethernet products, recently announced the release of Industrial Video Server VPort 3310 to the Video Networking market. VPort 3310 is an industrial grade 1-channel Video Server that adopts the high performance MPEG4 compression algorithm, and features DIN-Rail Mounting capability, 24 VDC redundant power inputs, and IP30 protection to meet the requirements of industrial environments. Also available is the extended temperature model, VPort 3310-T, which has an operating temperature of -40 to 75°C. This makes VPort 3310-T especially suitable for outdoors and harsh environments, such as Roadways, Refineries, and Power Plants. ASHRAE’06 Winter Tall Buildings Focus of ASHRAE Public Session ATLANTA - As skyscrapers have risen in height and sophistication since the first one was constructed in Chicago more than 100 years ago, so have concerns about their design and safety. That design approach will be highlighted in a free public session at ASHRAE’s 2006 Winter Meeting, Jan. 21-25, Chicago. Integrated Design of Tall Buildings will be held from 3-5 p.m. Jan. 23, at McCormick Place. BACnet Interoperability Show on “Hi-Tech House 2005” Expo The 4th International exhibition “Hi-Tech House-2005” was held in Moscow on 23-26 November, 2005. Leading vendors in building automation and Russian system integrators took part in this event. It was the main exhibition for "Intelligent Buildings" in Russia. BIG-RU association also participated with BACnet equipment from 5 vendors: Cimetrics, Kieback& Peter, Sauter, Siemens, YORK. It was the very first time for Russia when on the professional exhibition the BACnet equipment from several companies was presented. HID Announces Availability of OEM150 IRVINE, Calif. – HID Corporation, the premier manufacturer of contactless access control cards and readers for the security industry, announced the expansion of its original equipment manufacturer (OEM) product family with the iCLASS OEM150 module. The OEM150 is a fully-functional Wiegand/serial, low-power, 13.56 MHz contactless smart card read/write module with a remote antenna designed for embedding into small-format products to enable iCLASS contactless smart card technology. 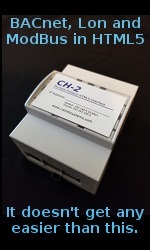 The compact module can be embedded into OEM equipment as a component in upper-level assemblies for products used in cashless vending, biometrics, time and attendance, alarm system control, HVAC control, process control, computer peripherals, and point-of-sale terminal applications. Controls Group North America Welcomes Crestron as a Preferred Vendor Brea, CA – Controls Group North America (CGNA) has reached an agreement with Crestron, Inc. to become a Preferred Vendor. CGNA’s 35 member association of HVAC controls distributors has the largest network of Integration Distributors in the nation. This valuable partnership with Crestron is a valuable one as CGNA distributors expand their presence in the building automation market. Canadian Digital Signage Association site at www.the-cdsa.org is operational. The CDSA is a non-profit trade association representing members from across Canada. The mission of the organization is to provide the Digital Signage industry with leadership in research and education and to create a forum to establish best practices in this emerging industry. Fleming College - Automation Technician As industries compete in the global market, the need to automate and to improve automated systems to increase productivity is an ongoing requirement. A strong combination of computer, electrical, electronic and mechanical skills is critical to success in this field. Whether in a bio-medical technology or genetics lab, an automotive or aerospace setting, or a manufacturing facility, this two-year program will develop your skills and abilities to program, install, set up, and operate Programmable Logic Controllers (PLCs), robots, and related electrical and automated equipment. You'll work in system design, interfacing for automation, control systems and flexible manufacturing. The program will give you the practical skills and broad theoretical knowledge to work in a wide range of industries. Visit http://www.flemingc.on.ca/Full-time/ProgramDisplay.cfm?ProgramCode=ATN for more course information. Domosys Joins HomePlug® Powerline Alliance Quebec City, Quebec, Canada - Domosys Corporation, a leading provider of control networking technology, announced that it has joined the ranks of HomePlug® Powerline Alliance, Inc., as a Participant Member. This organization creates international specifications for powerline networking products and services and has initiated the definition of a command and control technology known as HPCC (HomePlug Command & Control). This is an exciting opportunity for an industry leader such as Domosys which has been developing and defining multiple control network technologies including CEBus®, Home Plug & Play™, SCP, Universal Plug & Play™ and PowerBus® over the past 11 years. Domosys will bring this expertise to the HomePlug Powerline Alliance to make the HPCC standard highly reliable and cost effective. Moxa EDS-726 Receives iF Product Design Award Taipei, Taiwan—MOXA is pleased to announce that EDS-726 Gigabit Ethernet switch has been awarded the “iF Product Design Award 2006” for its user-friendly, modular design. The “iF Design Award” is one of the most prestigious and distinguished design competitions in the world. In fact, it is often referred to as the “design Oscars” by industries worldwide. EDS-726 is a 26-port Gigabit Ethernet switch that meets the demands of industrial applications, but also leaves room to grow. EDS-726’s modular convenience lets you add up to 2 Gigabit ports and 24 fast Ethernet ports in the same switch. The application-oriented design includes a tilted LED display for easy viewing, plus redundant and intelligent network management. EDS-726 provides more flexibility, reliability, and application-oriented functions to meet the demands of any harsh industrial application. Vattenfall AB Selects Echelon's NES Smart Electricity Metering System for up to 700,000 Customers (San Jose, CA) Echelon Corporation (NASDAQ: ELON), announced that the Swedish utility, Vattenfall AB, has selected Echelon's NES System for deployment of what is believed to be the largest installation of a modern, intelligent metering infrastructure since its groundbreaking project with Enel in Italy. Vattenfall has selected NES Value-Added Reseller partner Telvent (NASDAQ: TLVT) as the prime contractor to supply the NES (Networked Energy Services) metering system to up to 700,000 customers beginning in the first quarter of 2006. The completed project would represent approximately 13% of the entire Swedish residential market which is in the early stages of transitioning to fully automated metering in response to legislation designed to promote a more open and efficient energy market. IIPSEC 2006 Installer Masterclass Seminars - Speaker Round-Up Respected Speakers Explain how to Utilise IP to Grow Your Business Four educational seminars which look at the hardware and software used and how to design, configure and install network based security and building management solutions. Each session focuses on a theme allowing delegates to pick and choose what they wish to learn. The sessions include rich visual presentations along with quality educational content. January 24-26, 2006 Visit http://www.iipsec2006.workzsites.com/home.html for more information. Rabbit Semiconductor®, Inc. Releases RabbitSys™ Software for Remote Management of Embedded Devices Davis, CA - Rabbit Semiconductor, Inc. releases RabbitSys, an operating system that delivers program reliability for Ethernet-enabled, embedded applications. System reliability often overshadows the goals of any embedded project. The RabbitSys kernel available now pre-loaded on the powerful RCM3365 RabbitSys core module, provides embedded systems designers the ability to update, monitor, configure, detect, diagnose, and even debug embedded systems from remote locations. RabbitSys increases reliability by providing extensive feedback during development and debugging cycles. RabbitSys safeguards access to embedded system resources, like I/O and system memory, assuring software integrity. · Dollars: the net present value of the program would be $3 billion, doubling the initial investment in solar. When market transformation is taken into account, that’s $13 billion in net savings over 21 years of solar installations. · Jobs: approximately 19 thousand construction jobs and 3 thousand maintenance jobs. · Emissions: direct reduction of 52 million tons of CO2—and taking market transformation into account, that’s 190 million tons of CO2, equivalent to taking 3.7 million cars off the road. FIATECH's 2006 Technology Conference Showcase -"Where the Best Get Better"! Mark your calendars now and plan to attend FIATECH's Annual Technology Conference and Showcase, May 8-10, 2006 in Scottsdale, AZ! Registration is now open for this "must-see" event, "Where the Best Get Better!" Exhibitors are encouraged to apply early. Sponsorship opportunities are also available. On the morning of May 8th, conference attendees will have the opportunity to hit the links at Stonecreek Golf Course, so register today! Armo Group Wins Best Multi-Vendor Installation Award at LONWORLD® 2005 San Jose, CA – LONMARK International presented the annual Best Multi-Vendor Installation Award Winner to the Armo Group at LONWORLD 2005 in Paris, France. The company won the award for the installation of the British Petroleum & Tyumen Oil Company headquarters building in Russia. This impressive installation includes over 1,200 LONWORKS®-based devices supplied by twelve different manufacturers delivering unparallel comfort and efficiency for the 3,500 building occupants. Runners-up for the award included the LTU Arena in Düsseldorf, Germany and the Boeing Company’s commercial airplane facility in Long Beach, California. Electronically Monitored Fire Extinguishers Need Fewer Inspections and Maintenance ROCKLAND, MA – In a move that’s expected to save countless hours of personnel time for thousands of businesses across the country, the International Code Council (ICC) voted to amend its International Fire Code (IFC) requiring physical inspections and maintenance of fire extinguishers from annually to only once every three years if they are electronically monitored. The ICC made its decision during the Final Action Hearings held in conjunction with the ICC Annual Conference in Detroit, Michigan, September 25 through October 3, 2005. The code change takes effect in January 2006.